Since it is Fire Emblem month so may I as well be drawing some Fire Emblem characters (it's also a good excuse to practice more on human characters). So yeah, first of is Lucina from Awakening in a kind of boring pose that I tried to make look less bland. I do like the GBA games, but I have nothing against Awakening. It is a good game. Maybe it did some bad things like having skills that makes up for fake difficulty on certain enemies and bosses. But for all the good it did, it did very good. 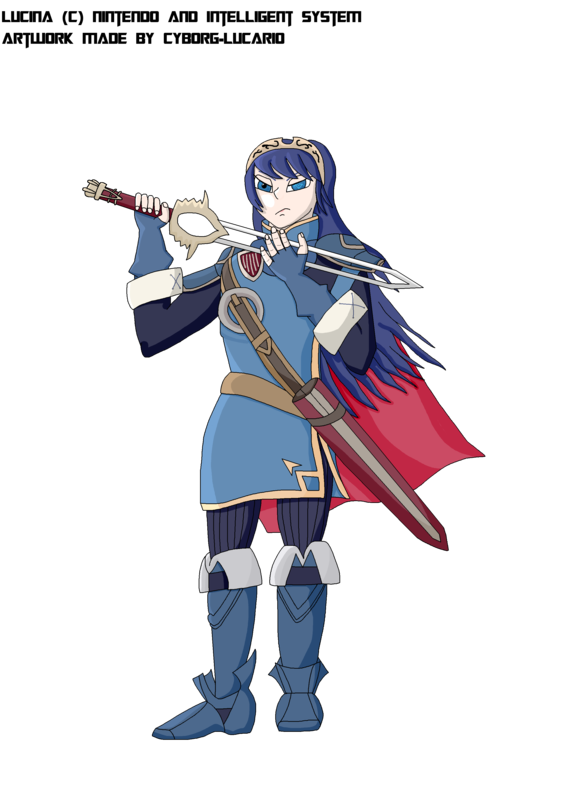 Lucina is also a decent character and I was ok with her being a playable character in Smash 4 even though she was a Marth-clone.